Semta – The Science, Engineering and Manufacturing Technologies Alliance – is a not-for-profit organisation responsible for engineering skills for the future of the UK’s most advanced sectors. 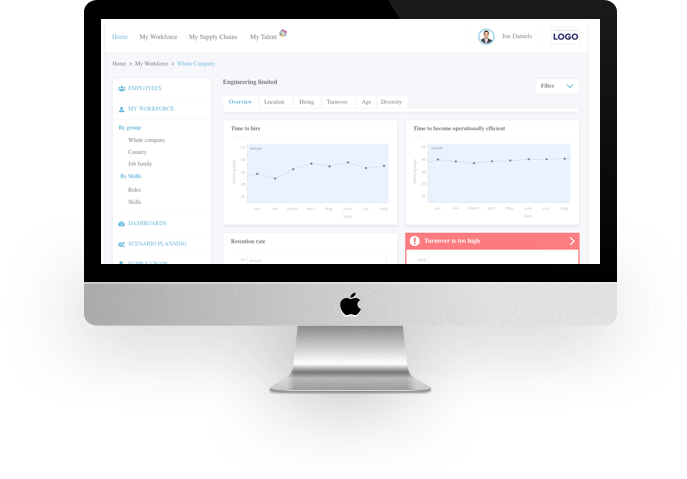 In a team of four, our role was to produce a proof of concept that could be presented to the stakeholders. 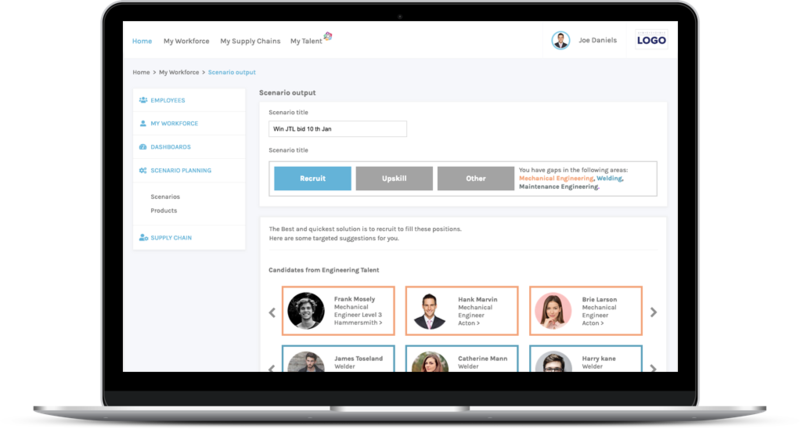 The project was a digital hub/platform that SMEs or corporations could login into, view the current state of their workforce, have it assessed, highlight the gaps and potential risks, and in turn present suitable apprentices. This would be essential for when an SME or corporation was trying to win business that was out to tender. 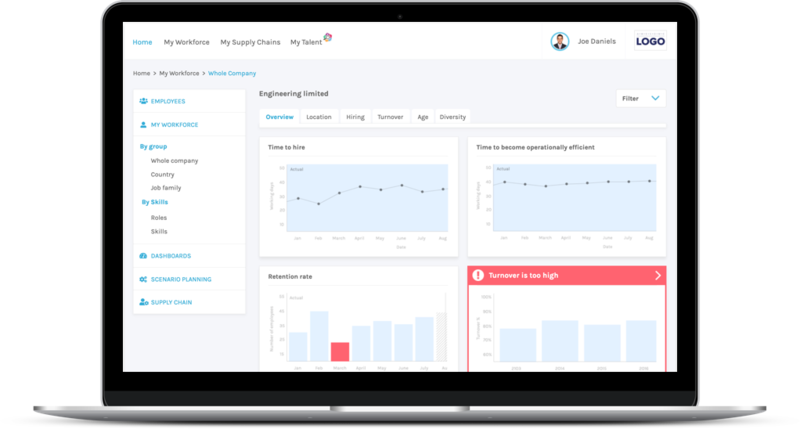 The hub would also help with scenario planning and enable a company to look at their supply chain, add companies to it, and reveal any skills at risk. For 3 days we ran an inception meeting with the chief executives of SEMTA, HR experts and heads of industry to gain as much insight into their needs and vision, what the business and user goals were, determine personas, how it will function, what the risks were, draw up stories and then prioritize. in working out a way to create a product that encapsulated all the needs of the client and their vision. We broke it into four distinct areas: My Workforce, Scenario planning, My Supply Chains and Skills Matching. This enabled us then to start drilling down into each section and work on the inherent functionality of the product. In order to make sense of all the data collected from the inception session we would analyze and start to piece together ideas for a structure of the hub. 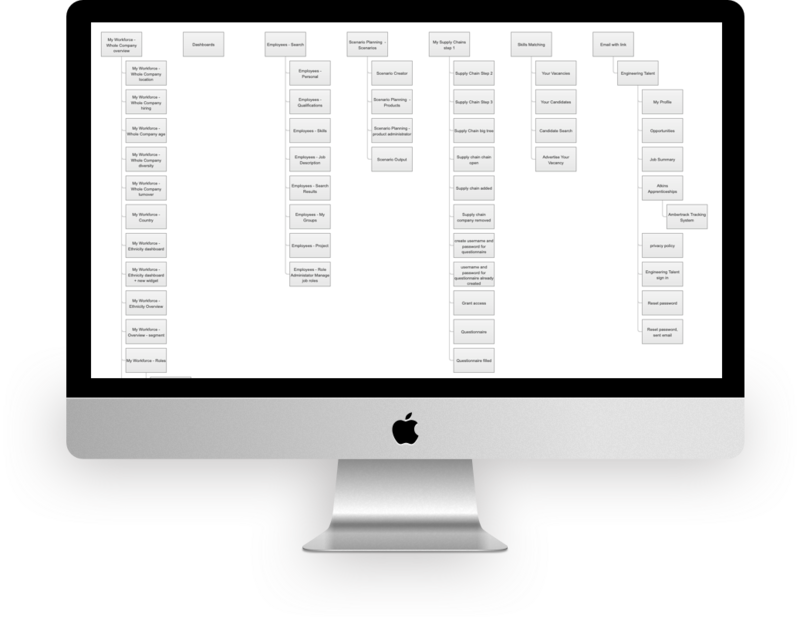 I always like to put together a site map as I work on a project, particularly when I’m working closely with others, building as we go, working through many iterations after discussions closely with the client, as it enables us all to understand the overall vision of the project. Working mainly with the Head of Product and Business Analyst I would translate their thoughts and ideas, offering UX solutiuons of my own into high fidelity wireframes that would then be tested with the stakeholders and managers from companies interested in using the product. For 8 weeks we went through an iterative process of testing and re-testing until we were able to handover a proof concept that fitted their vision.